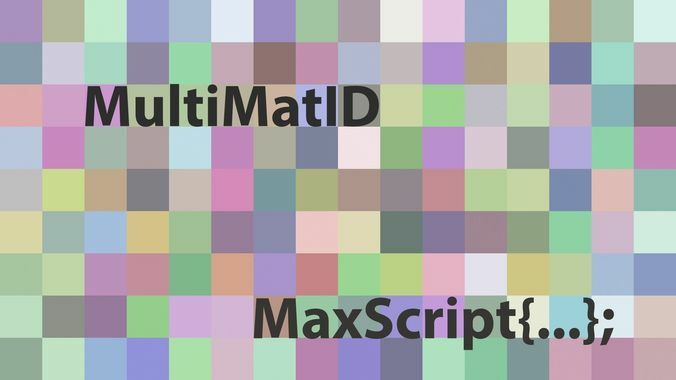 MultimatID is a maxscript to distribute multimaterial's submaterials to the selected polygon object's faces and elements. Script operates on scene materials. So: The multi-subobject material must be assigned, at least to one scene object to be recognized by the script.Modify object tab must be highlighted for the script to assign material ID's. Caution! : Names of multimaterial must not be default names. multimaterial names must not contain special characters, names must not start with numbers. v1.2 Note: Script comes with an installer now. New macroscript is under customize user interface\savas category. Super simple but useful tool!